Lots NEW! Long, cold, winter evenings are the perfect time to enjoy some stories with your children, and what could be better than Christmas stories! We have gathered together a collection of Christmas stories which you can print and enjoy with your kids. The old Russian folktale and legend of Babouscka is perhaps not as well known as some other Christmas tales, and makes an interesting bedtime story! Bipper the bear doesn't want to hibernate like the rest of his family - and as a result he makes an unusual friend! 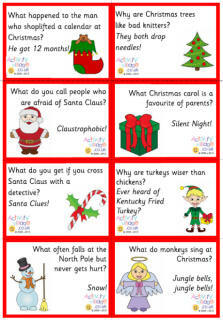 This is a printable Christmas story for children kindly shared with us by Artie Knapp. This lovely Christmas story was written for us by Pete Large, Sarah's husband. It tells the tale of baby Jesus's birth, told through the eyes of Caspar, one of the wise men. This lovely poem, by Robert Louis Stevenson, is a good one to remember at Christmas. Here's a printable version to enjoy. Everyone loves Rudolph the Red Nosed Reindeer, and this cute printable version is a lovely way to share it during the holiday season. A fun poster for the classroom, perhaps? Just for fun, a printable Christmas story, "Santa Claus Does Not Forget", to enjoy during the holiday season. 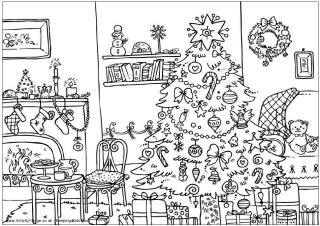 Here's a printable version of the poem "''Twas the Night After Christmas" - enjoy with the class or family! Enjoy this beloved Christmas poem with our fun printable version. "Twas the night before Christmas when all through the house Not a creature was stirring, not even a mouse...."